Browse basil-leaf suppliers by country and region. Basil is commonly used fresh in cooked recipes. In general, it is added at the last moment, as cooking quickly destroys the flavor. The basil seeds that are used for eating are the seeds from the sweet basil plant, Ocimum basilicum. The leaves and oil of holy basil are used in Ayurvedic medicine for many purposes, but typically not the seeds. 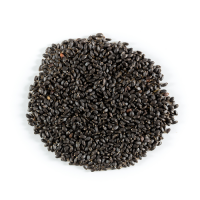 Sweet basil seeds are a similar size as chia seeds. 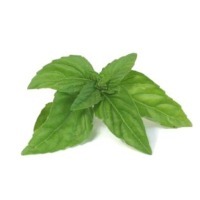 Basil is a bright green, leafy plant, Ocimum basilicum, which is in the mint family. ... Basil is widely used in Italian cuisine and is often paired with tomatoes. It is also used in Thai cooking. Short on time? Let basil-leaf sellers contact you. Lettuce, celery, coriander, arugula (rocket), parsley, sage, thyme, basil, rose marry, dill, etc, supply both organic and Hydroponic, hydrangea..
Henna leaf, basil leaf, moringa leaf, gimnema leaf. Tulsi assumes utmost importance when it comes to Ayurveda and naturopathy. Its essential oils are used to treat a number of ailments. it is rich in antioxidants which help in mitigating stress and conditions like diabetes, high blood pressure and so on. â? ?Tulsi has linoleic acid which is extremely beneficial for skin. 1. It acts as a detoxifying, cleansing and purifying agent â?? both from within and without. 2. Therefore it is good for skin â?? both when consumed and applied topically. 3. It is also effective in treating skin disorders, itching and issues like ringworms. 4. 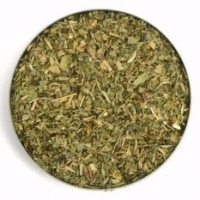 It can be made into teas or can be had raw, powdered, paste or in form herbal supplements. Tulasi leaf, basil leaf,stevia, stevia rebaudiana. Black ginger extract, betal leaf powder, coriander leaf powder, black pepper, moringa oleifera powder, blue turmeric, basil leaf, basil seed, neem leaf, soursop leaves, bitter melon leaf powder, gum karaya, dictramniradius cortex, lemon grass.